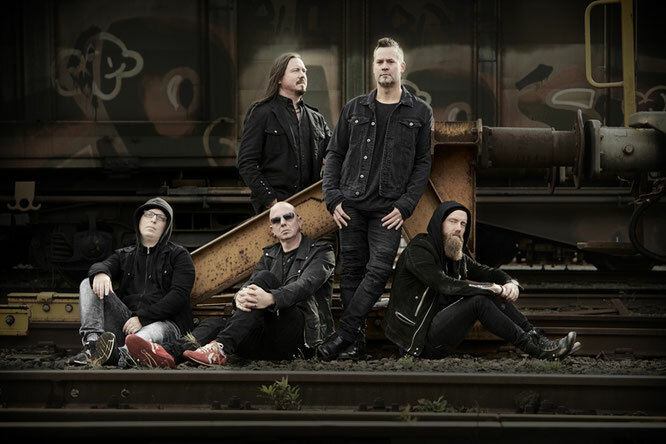 Swedish progressive metal band Darkwater released its long-awaited third album, titled “Human”, nine years after their highly acclaimed sophomore effort, “Where stories end” (2010), on March 1st, via Ulterium Records. 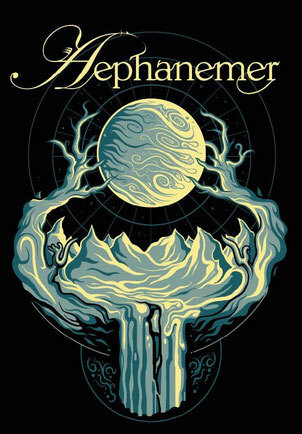 Formed in 2003, the band released its debut album “Calling the Earth to witness” in 2007 to positive reviews worldwide, and played at the 12th edition of ProgPower USA in September 2011. So, how will this album fare with the fans and critics? While I do enjoy the Finnish metal scene quite a lot, I have to say that Sweden’s progressive metal bands, Seventh Wonder and Soen in particular, have carved a piece of my metal heart. 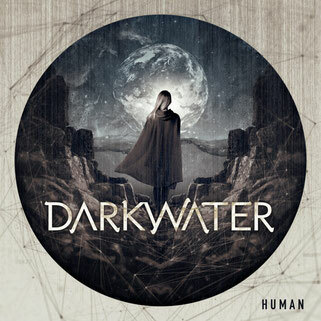 And now I can add Darkwater to that list, as their latest offering “Human” is an all-around masterpiece. The band’s blend of melodic and progressive metal is inspired from bands like Symphony X, Dream Theater, Andromeda, and Evergrey and, as such, this album won’t leave fans of the genre disappointed. The songs are heavy but melodic and atmospheric, making the 76 minutes of playtime feel like only a few short minutes. Lyrically this album tells the story of us, humanity, how we affect the world around us, and the struggles we deal with. There are a few things I particularly enjoy about this album. One of them is just how uncluttered it feels, and by that I mean, it’s not overly heavy or multi-layered, as every instrument is clearly heard, neither one overpowering the other, and everything works together in perfect harmony. Instead the band focuses on melody and fluidity as driving force of the music. As I pointed out in the review for Cellar Darling’s “The Spell”, you don’t always need a big wall of sound to make an emotional connection with the listener. This doesn’t mean that there aren’t any heavy passages or guitar solos, as the combination of guitars and keys is the sonic heart of the album, just that the music is the right amount of heavy to fit with the overall mood of the album and the story it tells. Just listen carefully to the opening track “A new beginning” or “Alive (part II)” and you’ll get a sense of how well balanced everything is, through probably “Insomnia” and “The Journey” are the heaviest tracks here. The second thing I love about “Human” are Magnus Holmberg’s beautiful and soulful piano lines, which make for a great bulk of the music at hand, as well as the band’s knack for seamlessly switching between piano, keyboard, and synths or combining them (see the oriental infused “In front of you” or the heavy “Burdens”). It’s not every day you get to listen to an album that focuses so much on this instrument, as usually it is somewhere in the background, barely audible. But in this case, it adds so much depth, emotion, and melodicity to the guitar lines and vocal melodies, either it is in the background or front and center. Also, some of the instrumental passages, as for instance “Alive (part II)”, and the prominence of Simon Andersson’s groovy bass lines throughout this album, kind of remind me of Seventh Wonder, and that is never a bad sign. Another thing I love about Darkwater are the vocals, and vocalist Henrik Båth can sing like nobody’s business, though at times he sounds eerily similar to Roy Khan (Conception). Songs like “Reflection of a mind” or “The Journey” highlight his versatility, prowess and range, as he goes from raspy lower notes to some light yet warm highs (which are akin to Circus Maximus’ Michael Eriksen), and I can’t help but love it. If the guitars and keys are the sonic heart of the album, the vocals are definitely the focal point, stealing the show every time, with their liveliness and power. The transition between tracks is well done, as is the build-up of the music, the album starting slow and light on piano lines, and just growing in intensity as the music progresses, making for a very fluid and cohesive listening experience. In conclusion, the fierceness of the guitar and the delicacy of the piano, coupled with magnificent vocals make “Human” an utterly delightful and magnificent prog metal album, that really showcases the beauty and charm of this metal (sub)genre. Darkwater are clearly masters of the craft, and their talent and brilliance shines brightly through every melodic hook and instrumental passage on display. Definitely one of the best (progressive) metal albums of the year.